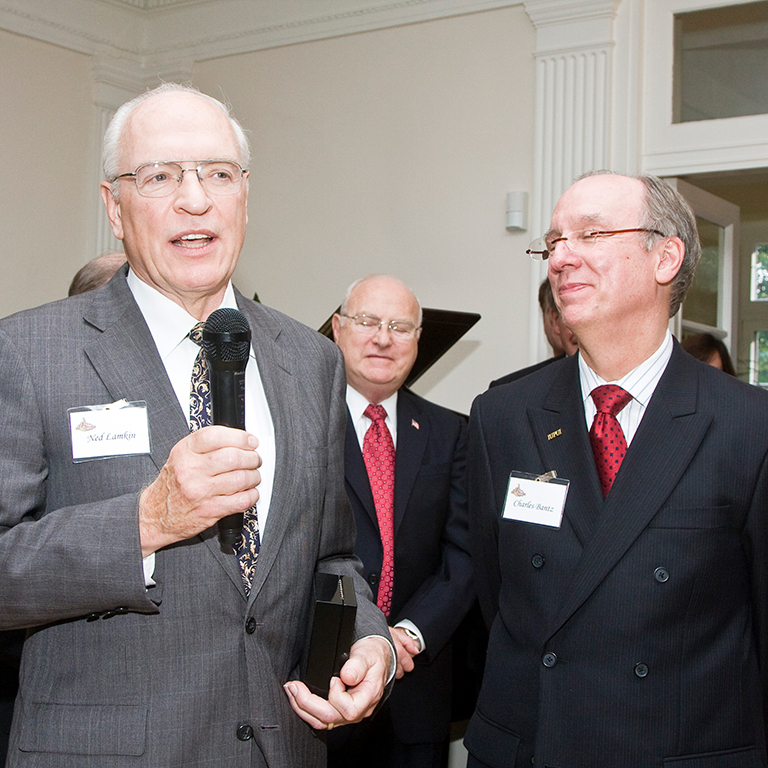 On September 10, 2009, Dr. Eugene Henry "Ned" Lamkin, Jr. was awarded the IUPUI Chancellor's Medallion by Chancellor Charles R. Bantz during the IUPUI Board of Advisors Reception at Cedar Crest. Dr. Lamkin was recognized for his legendary innovation in the field of health care in Indiana and beyond. Dr. Lamkin's career includes service as a military physician as well as executive positions in healthcare and 16 years in public service as an Indiana State Representative. He was past vice president and president of the medical staff of Methodist Hospital and more recently served as president and CEO of the Indiana Employers Quality Health Alliance, a coalition of Indiana employers representing over 50,000 employess, committed to creating a quality focused Indiana health care system. Dr. Lamkin is a Sagamore of the Wabash, a Fellow of the Indiana Academy, and fellow of the American College of Physicians, and serves on multiple boards in healthcare and philanthropy. He is also past president of the Lumina Foundation for Education and served on the Board of Directors for the Indiana Health Information Exchange.